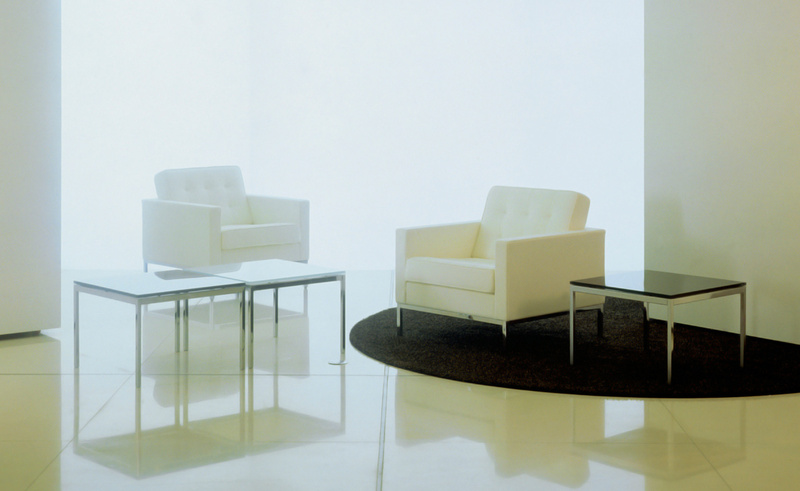 Like so many of her groundbreaking designs that became the gold standard for the industry, the 1961 executive collection, including the coffee and end tables, made there way into the pantheon of modern classics. 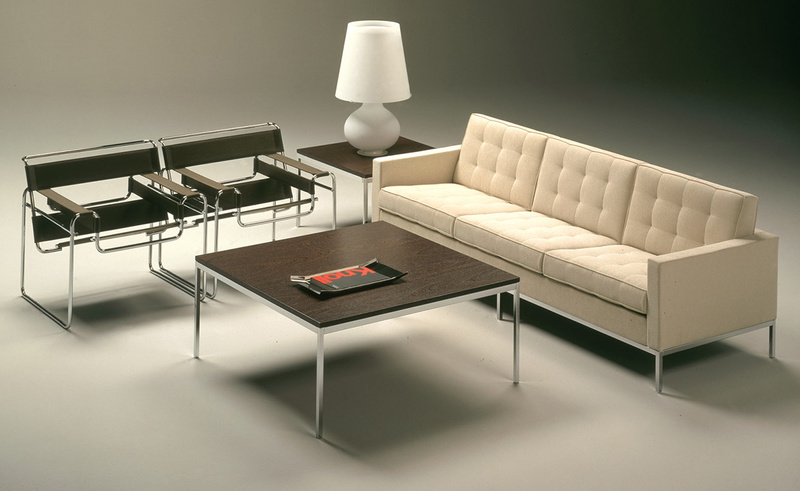 Florence Knoll's designs are reserved and cool, severe and angular, reflecting the objective perfectionism of the early 1960s. 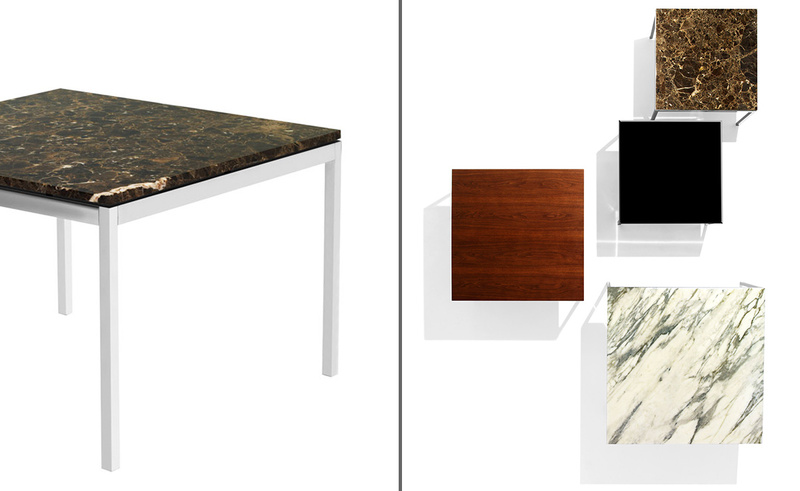 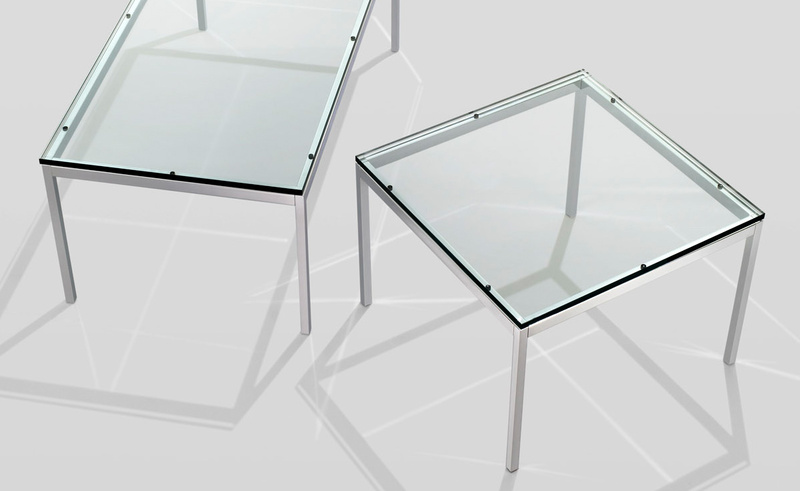 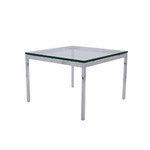 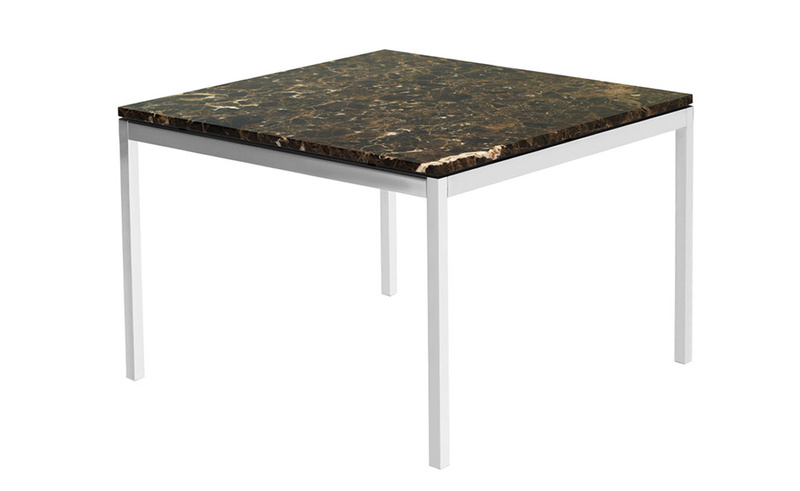 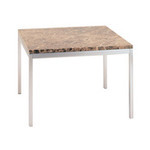 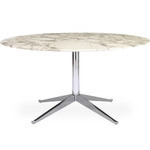 These versatile tables are available with your choice of either glass, wood veneer, granite or marble top. 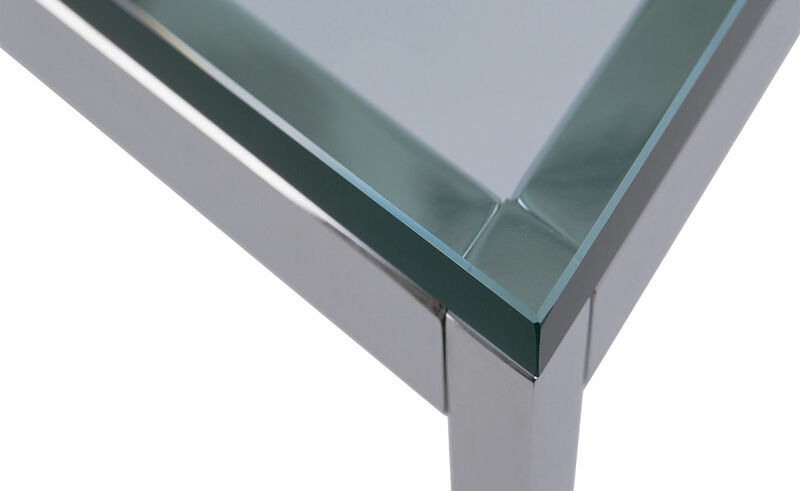 Top is 5/8" thick polished plate glass or coated marble. 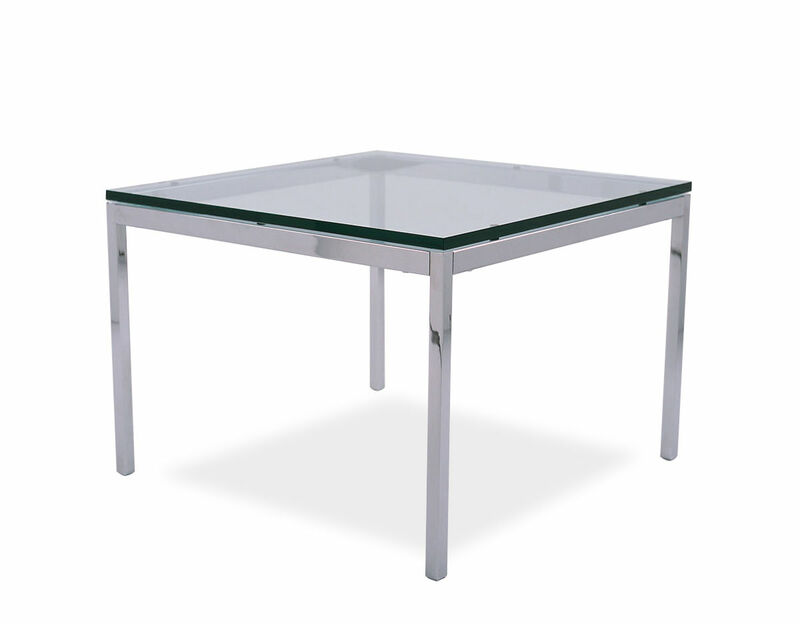 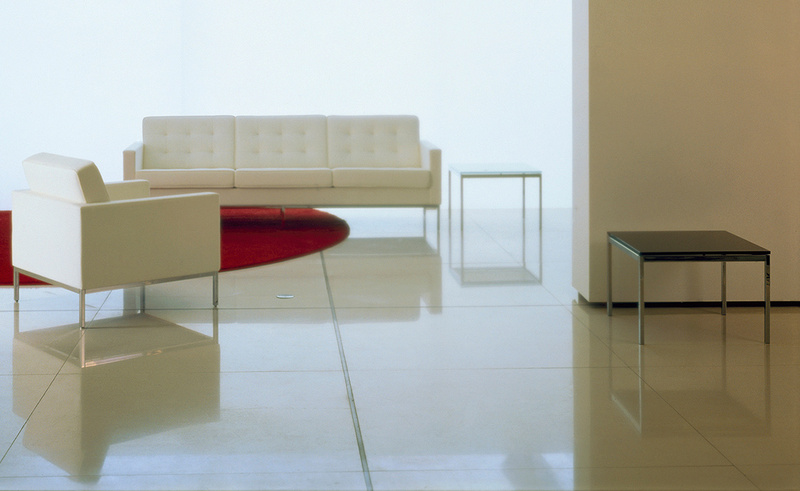 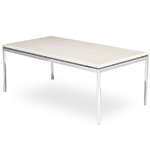 Base is available in polished or satin chrome. 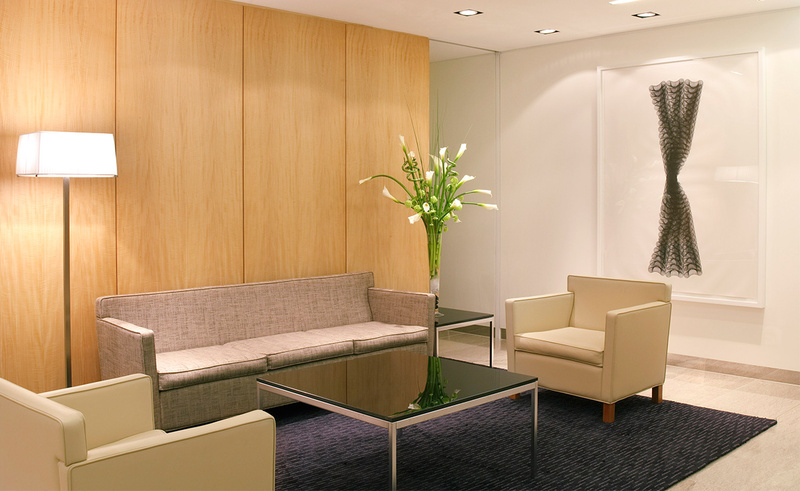 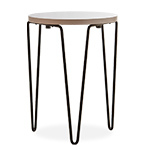 The collection includes coffee or end tables in various sizes. 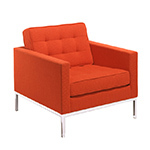 $814.00 + plus shipping in the continental U.S.